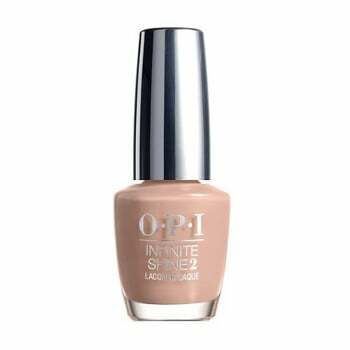 OPI Infinite Shine is a state-of-the-art nail system that provides a manicure that needs no touch-ups all week. The formula contains oligomers that cross-link when activated by photo-initiators in the top coat. The system cures to a hard film in natural light so it removes easily with regular nail lacquer remover. Achieve all this in 3 simple steps. First apply the Primer, second apply the Infinite Shine Lacquer shade of choice and then finish with the Gloss.